This rare brass water kettle comes from the sultanate of Pattani, an area that covered the southern Thai provinces of Pattani, Yala, Narathiwat and much of northern Malaysia. The sultanate was an Islamic Malay kingdom. It was split into several smaller states by the beginning of the nineteenth century by the Thai monarchy and the Pattani ruling family fractured into a series of smaller courts. 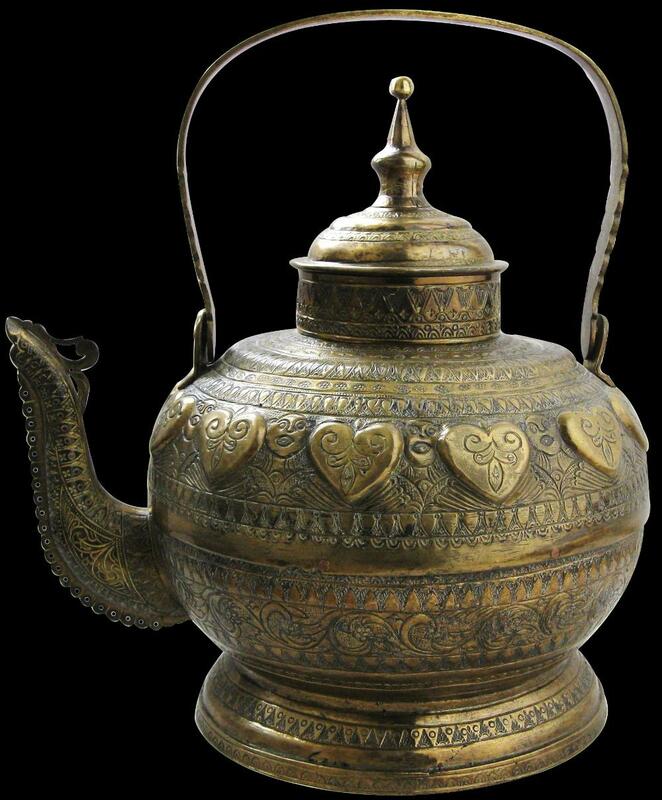 Coming from the Pattani area, the kettle is a syncreatic mixture of Thai and Malay influence. 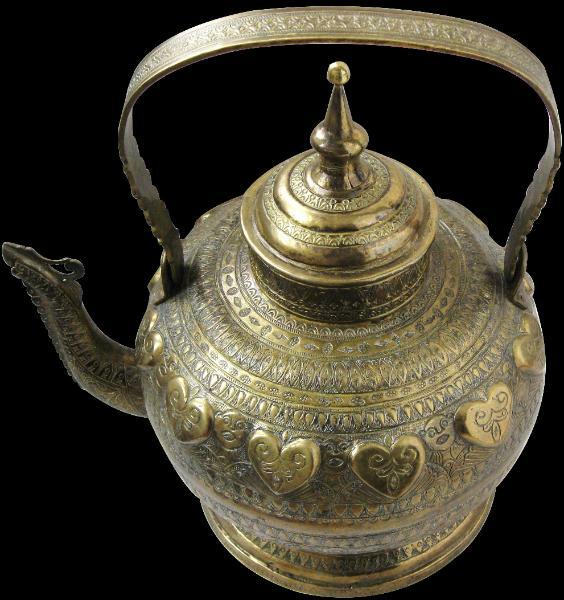 The spout is zoomorphic in form without being excessively so, thereby complying with local Islamic sensibilities and yet the main frieze comprises a row of heart-shaped motifs interspersed with obviously human face motifs. A lower band comprises overtly Malay scrolling plant motifs. The lid shows clear Thai architectural influence. 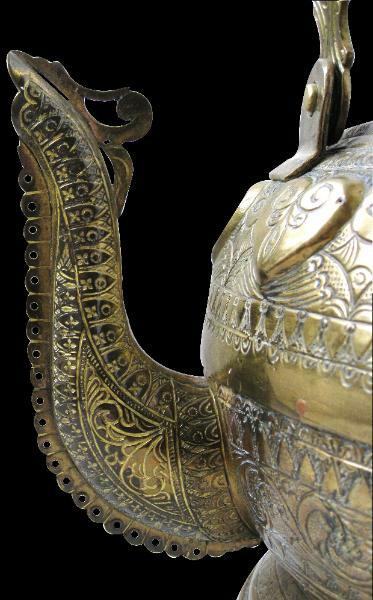 The wide, flared foot is engraved with two bands of geometric motifs which are mirrored by the band of decoration on the top of the prominent handle. 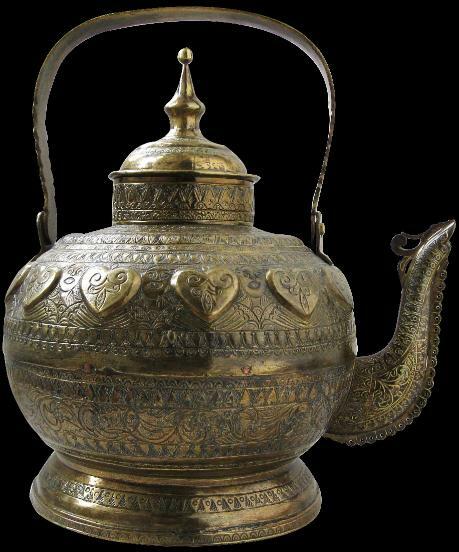 Kettles such as this were used to store drinking water but also could be used for hand washing prior to and after eating. Malays traditional ate sitting on the floor (their traditional housing had very little furniture) and so the foot has the function of raising the body of the kettle slightly off the floor. 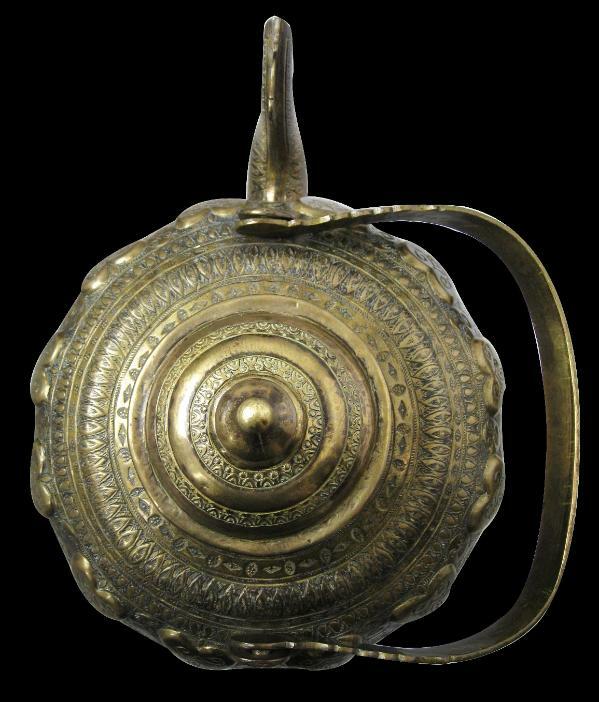 Few Pattani kettles have survived, compared with their more conventional Malay counterparts.